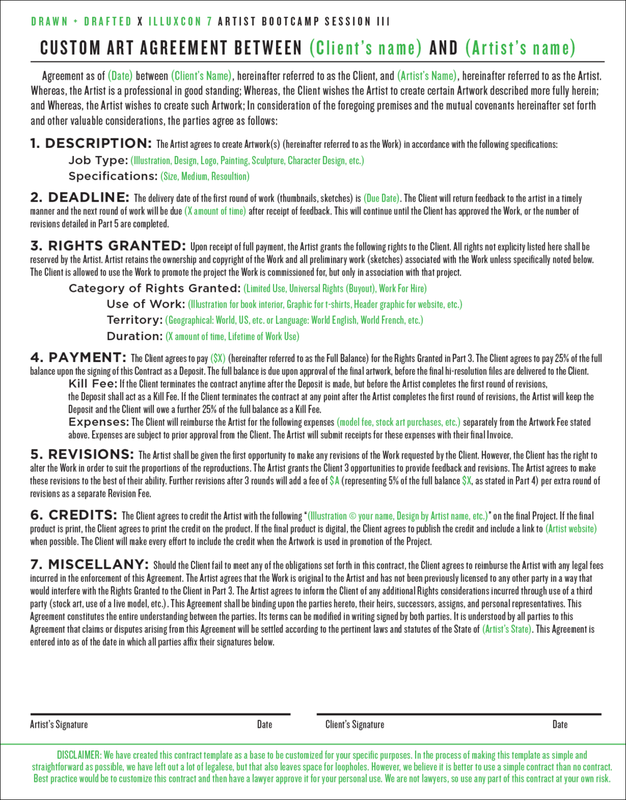 Along with our Bootcamp one-sheets we have prepared some templates for the forms most-needed by freelance artists. Please download and adapt to your needs. Please remember we are not lawyers, and do not give legal advice. However we know some great lawyers who specialize in working with creatives. Please click on template image to download pdf.